[INQ. NO. 1505M12] Shinwoo Mechatronics has been engaged in manufacturing lamps and mirrors since 1981. It has also been supplying only the best OEM and aftermarket products. It provides those solutions by applying latest technologies for passenger vehicles, buses, trucks, bikes and special vehicles. It supplies the innovative lighting system, combing better performance and stylish design. There are four major head lamps that lead the company’s drive for creating market share and revenue – head lamp assembly, work lamp, LED front combination lamp, and LED rear combination lamp. 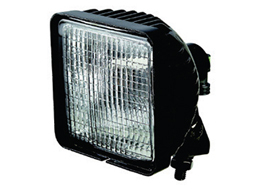 With ECE-approved fivefunction, head lamp assembly performs low – and high beam. It supports functions of fog lamp, indicator, and position lamp at 12V or 24V. For smarter appearance, chrome-coated or black-painted bezel is applied. For the work lamp, aluminium die casted housing is applied with harden glass lens. It is available with H11 bulb at 12V or 24V. It gives high brightness with AL vacuumcoated reflector surface. It is suitable to folk-lift, agriculture vehicles, trailers, heavy industrial vehicles and other cars. LED front combination lamp and LED rear combination lamp also have their application of areas of folk-lift, agriculture vehicles, trailers, heavy industrial vehicles and other cars. For those areas of application, the former is equipped with high impact crystal acrylic lens and ABS housing and the latter is armed with high impact crystal acrylic lens and ABS housing. Filed Under: Machinery Tagged With: Advanced lighting systems, Lamp, LED front combination lamp, LED rear combination lamp, mirror, Shinwoo Mechatronics Corp.